Twelve years ago, Chris Anderson’s company was one of the first to start using Pool Studio for contemporary backyard design. Then a senior in college, Anderson had grown up in the pool industry, and he recognized a great opportunity when he saw one. Since then, Anderson has used Pool Studio to grow Custom Design Pools & Landscaping into one of the top luxury pool and landscape businesses in Houston — and also to build Ledge Loungers, which began as a solution to one client’s needs and has since grown into a a full line of lounge furniture and accessories featured at numerous hotels, resorts, cruise lines, and more. The process of turning his family business into such an outstanding success began, for Anderson, with the decision to embrace the most innovative new technology he could find — and then use that technology to share his best ideas with his clients. Although Anderson grew up in the pool industry — his father entered the industry the same year Chris was born, and began his own company in the mid-90s — he did not plan to join the family business. In fact, while Anderson got his degree in construction management in the engineering college at LSU, he was heavily involved with student media in college and went to work in marketing instead — including stints at a Nebraska web development company and at the Dallas Morning News. His father’s business, however, had grown to the point where he asked his son to help out, and Anderson was surprised to find how much he enjoyed working the sales and design side of the business. Although Anderson enjoyed the sales and design side the best, his father encouraged him to participate in the field so that he could also learn the ins and outs — and gain the experience that would help him create even more impressive designs for their clients. "He asked me to participate in the field so I could learn the construction side," Anderson says. "I’d say at that time 60% of my time was designing and selling and I kind of found my knack for that. Now, 90% of my time is designing and selling and my father handles all of the construction." Anderson describes what he does now as "aesthetic product management." His goal? "To make sure that what we are designing is actually coming to fruition." "Most of the time," he says, "I’m working with Pool Studio and the clients and coming up with some great designs and of course pricing them out and doing that whole thing." In order to get the job done, Anderson relies on Pool Studio to share with his clients an incredibly detailed — and incredibly immersive — view of their future outdoor living space. When Anderson meets with clients, his goal is to create not just a pool, or not just an interesting landscaping design, but a complete exterior space. "We are kind of a catch-all exterior design company," Anderson admits. "Even though we are a pool company," he resists describing his company as one, since they don’t limit their work to just pools. "We are an exterior design firm," he says. "Too many people just focus on, 'let's go out and build a pool.' We own the backyard." "The pool market is almost like none other in that we get to do a lot more extravagant projects," Anderson says, noting that people sometimes mistakenly assume that a downturn in the market will prevent homeowners from investing in pools. Instead, "in the high-end market, whenever people are not moving or building, they are enhancing their current place. In our business we are just as consistently busy when they economy is down." That gives Anderson the opportunity to work with clients who want to create incredible outdoor living spaces: "When the economy turns down a little bit, [homeowners] have more free time to spend their money and they're not afraid to spend it in that low time. They know it's going to go back up." Because he focuses on creating incredible exteriors, Anderson is careful to limit the number or projects he and his team take on at once. "It's kind of the beauty of the pool business," Anderson says. "Every project’s always in a different stage," so he and his carefully chosen team typically start two projects each month, working on 12-16 projects per year. By carefully timing the projects they take on, Anderson says, "You don't have to have a lot of resources because they are all in different stages. We pretty much 100% subcontract out." "If it takes me 3-4 months to build an average pool, I might make (if I'm going to net somewhere around 10-15%) $45,000 on a $300,000 dollar pool over 4-6 months. But, I can go do a $100,000 landscape and make $40,000 in 3 weeks. I can go install furniture and make $10,000 in 2 days." That means, for Anderson, that "while the pool might be the bigger chunk, the efficiency of the revenue is in the accessories services. We've learned to maximize with each client and really take it from not just the pool but the entire backyard space." 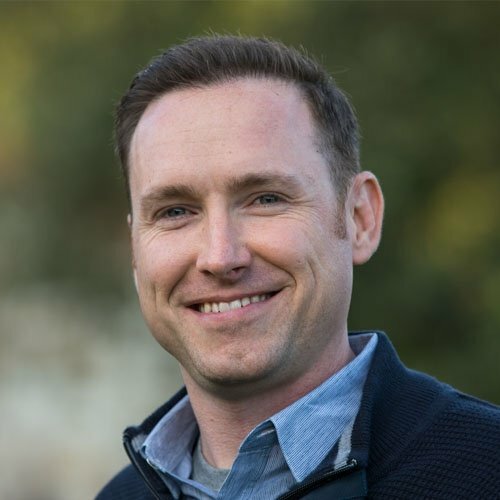 Anderson’s strategy has been so successful, and so popular with his clients, that he now earns nearly all of his residential business from referrals. "We try to be a little picky choosing our clients," Anderson says, "because in the pool industry, reputation is everything. Especially in the higher-end market." "It doesn't matter if you have a billboard out there or not; they are going to pick you because you were referred from a neighbor, or a friend, or a colleague. That's how we obtain 99% of our work." "We want the client to be a good fit for us just as much as we want to be a good fit for the client. We are heavily involved on our job sites," Anderson says, and that high level of involvement, coupled with clear communication, helps his clients put their trust in his work. "Our focus is to be great at a few rather than good at a lot. Hopefully, that shows on our website and in our marketing." "You know, we're in their backyards. They are heavily involved in the process and the project. We want to keep that communication open." In order to do that, Anderson is careful to stay ahead of any potential issues that might crop up: "I meet with my clients on a weekly basis during the construction process whether there's a problem or not. Just to let them talk about whatever they're dealing with." For a number of years, Anderson did not charge for his designs. Five years ago, he decided to charge clients for designs — and he immediately saw a significant improvement not only in his own work but also in how his clients responded to what he was offering them. "As a designer I find that I do better designs when I'm charging because there is more expected from me. I have an obligation to present something that is going to be quality. So instead of getting a project done the night before, I hold myself to a higher standard," Anderson says. Currently, Anderson charges between $1,500 and $5,000 for a design. Five years ago, he started out charging just $100. "A lot of people think that, if I'm charging for designs, I need to charge $500, but no, you can charge $25 or $50," Anderson explains, while still seeing great results. "It makes the experience with my clients so much better. So much more enjoyable," Anderson adds. "I think what most people don't realize about charging for designs is you bring more professionalism when you charge for a design." He explains that many consumers are "not used to getting quality for free." "What have you ever gotten for free that was worth anything? What have you ever gotten for free that somebody put a lot of time into?" Anderson has found that some other designers resist charging: "they will use the excuse that nobody else in my market charges." However, as Anderson points out, "when you are a designer charging for designs in a market where no one else is charging, you create a question in the consumer's mind. 'Hey this guy charges and those guys don't. What am I not getting if I use the guys that are free. What could I have had if I use the guy that charges?’"
He advises fellow designers to start out charging just $50 for the first design: "I tell them," he says, "why don't you be the one that's different and stands out? Because we know in this industry you will be successful if you stand out." "The client treats you a totally different way. They'll show up on time to meetings. When it's free, sometimes they'll miss your meetings," Anderson points out. Even more importantly, clients are more likely to share their true opinions when they’re paying for designs: "If they're paying for it then they're invested so they have to tell you what they don't like so you can get to what they do like," Anderson explains. In fact, he has found that "[clients] will tell you what they like and don't like versus just telling you they like it and lie to you and send you off to go to the next guy." "As a designer that's critical," Anderson emphasizes. "If I design a project the client doesn't like they're going to shoo me out of their house and move on to the next guy and hope he has a great design for them." "I encourage my clients, 'hey you're paying for this design, you be as honest and upfront as you want to with me. Tell me exactly how you feel because I don't want to design something for you that you're not happy with.' So you create a sense of trust and loyalty with the client by charging the client. I know that sounds crazy but it's so true. They respect your time more, and they will communicate more, versus a lot of time homeowners don't like communicating." This strategy has helped Anderson win clients on a wide variety of projects: "I don't care if it's a $30,000 pool or a $5,000,000 pool. There needs to be some sort of fee to establish professionalism to establish the proper relationship with the client." Anderson also notes that charging for designs helps designers build their confidence as well as their portfolio of work. He asks, "If people are running around doing it for free, what is their value?" "Once you start charging you realize you are worth more and more. You gain experience and you raise your price because you realize that people are going to pay for that value and you can provide that value so it makes you a better designer over all." That process of creating the best designs and the best experience possible for his clients does not end when the pool is built and the backyard is complete. Anderson also focuses on making sure that his clients get the best enjoyment from their pools. That’s why Anderson was inspired to create Ledge Loungers. "We were building more and more ledges," Anderson says, adding, "we identified that if a client pulls their patio furniture onto their ledge, it's going to destroy it. You can't lay out in the water. You're laying on top of the water." Since clients wanted to lounge in the water, Anderson decided to find a way to make that happen. "What Ledge Loungers is all about, from a marketing perspective, is escape." "We want our end consumers that are laying in our products to feel like they've escaped their busy, hectic lives." "They can imagine that they're in a beach resort on the Miami strip, or in Vegas, or maybe off the coast of some exotic resort location. So we want to bring that to their back yard. That's our full intention with Ledge Lounger. So we are going to continue to innovate and develop products that go in the pool." The products that Anderson developed for Ledge Loungers began with a custom pool with a ledge that in fact won the Pool Studio award that year at GAVA. "I was inspired to make something that would look good on that ledge. And I could sell it to all of my clients," Anderson says. "So I pitched the idea to my client and he really liked it, so that encouraged me to go out and find a way to create a product like this." Within four years, Anderson had created Ledge Loungers, found a manufacturer, and started putting prototypes of the in-water furniture in his clients pools. "I started getting a lot of calls from pool builders so I hired a sales rep to help me and she literally cold called pool builders and told them about our product," Anderson says. "The chaise led to a side table and that led to a chair, and that led to a deeper chaise because ledges are at different depths in different parts of the country. Then we made a big island because Hilton found us and found our products and found out that we were specialists with in pool products. 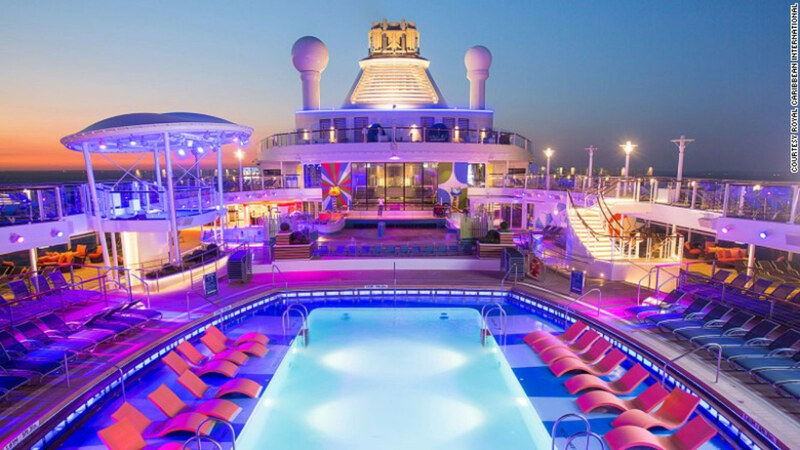 Now Ledge Loungers are all around the world, resorts, Royal Caribbean Cruise lines and we are in four locations on the Vegas strip." Since then, Anderson’s taken Ledge Loungers to go beyond offering clients a new, more enjoyable, and more beautiful way to lounge in their pools. He also decided to offer patio furniture that pool builders can offer their clients. "We can utilize our pool market and help pool builders make additional revenue streams by selling the patio furniture as well. We figure that they are already selling them the in-pool furniture so it will be easy to show them the patio furniture as well," Anderson explains. When Anderson began Ledge Loungers, he worked long hours to find the time for both businesses he runs: "You've gotta work hard and get the right people. Ledge Lounger has gone from two employees last January to hiring our tenth employee." "One of the things that I've really focused on is not to get ahead of myself, don't hire people too fast, but at the same time hire them when you need them. Basically, hire them when you're putting in every ounce of energy and it's still not enough. Then it's time to hire somebody. When I exhaust the team with growth, we get more help." One reason this strategy is successful is that Anderson never hesitates to reach out: "If I don't know the answer I pick up the phone and reach out to a resource in the industry." And one resource Anderson relies on to get projects done is Pool Studio. In fact, Anderson says, "One of the main reasons we were able to expand our business was because of Pool Studio." "I've been with Pool Studio the entire time," Anderson says. "I won’t walk away from a Pool Studio drawing until the house is perfect and everything is right. Yes that takes time, but it also pays in dividends. When we're presenting a project that is more than likely going to be higher than our competitors, it's very important that we have the precision in Pool Studio so we can show the client exactly what it's going to look like." 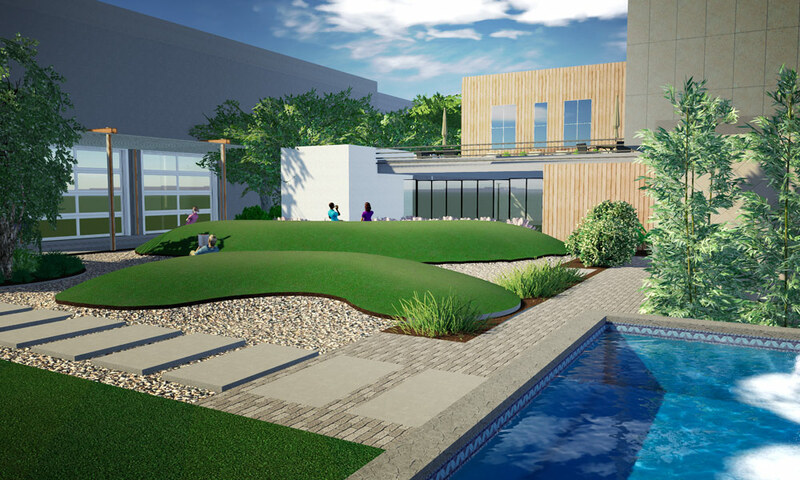 That means Anderson can not only share what the pool will look like, for example, but he can also drop in 3D renderings of his Ledge Loungers in order to share them with clients. "I think Pool Studio has almost allowed us to advance as a company by using it because of the ease of adding it into our designs. If I had had to draw all of landscaping plans by hand I don't think I would have gotten into landscaping," he acknowledges. Instead, he says, "it's a lot easier to sell landscaping, when you can drop it right in your plan. It's a lot easier to learn landscaping when you have a gallery full of plants that truly exist. 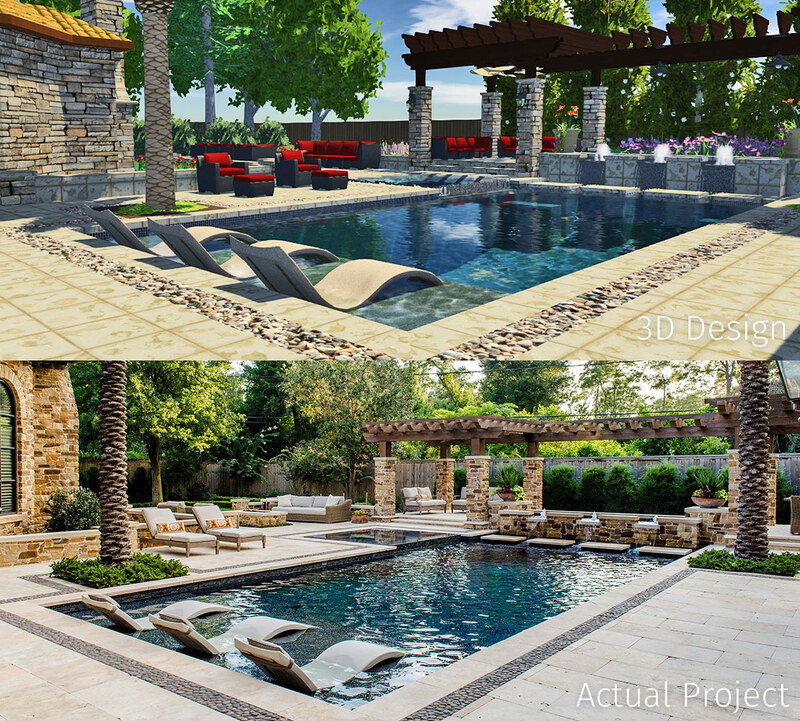 It's a lot easier to become a good landscaper when you can see your design in 3D before it even exists." As one of the first designers to embrace designing in 3D, Anderson was especially excited to try out sharing his 3D designs in Virtual Reality. After all, he knew from his experience growing his pool company and then building Ledge Loungers that embracing the most exciting and cutting-edge technology often created the most exciting results. The moment Virtual Reality became a possibility, Anderson was ready to use it to create even more immersive experiences for his clients. In fact, he sees VR as an excellent way to "step up his game." Making his designs "nearly indistinguishable from the finished product" is, for Anderson, a goal worth pursuing. "If you ask an architect to design you a free house, he’d tell you to [get out]," Anderson has said. "If we’re offering virtual reality, we should hold ourselves to a higher standard and start charging for our time on these projects." For Anderson, who prides himself on creating designs as perfect as possible, VR presents an intriguing opportunity to create even more impressive designs. "I would encourage [designers] to make every design as perfect as they can make it," he says. "Hold yourself to a higher standard. Learn all of the advanced stuff because even though Pool Studio is great, there are a lot more people using it now. Before, I could stand out just by having Pool Studio. Now I have to stand out by taking my drawings and advancing them even further and taking them to the next level. Clients notice that." As Anderson sees it, embracing the best that technology has to offer is an important way to stay relevant: "We also market for the future. That's one of the things we focus on." "If you market in the past nobody's going to pay attention." 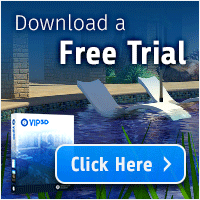 "Pool Studio gives you the opportunity to not only be a pool builder, but be a great exterior designer. Utilize it to expand your business and increase your margin, to increase your total profit. Our average project went from $70,000 to $300,000 a project. Why could we do that? We could do that because we could get into the other disciplines because Pool Studio made it that easy." 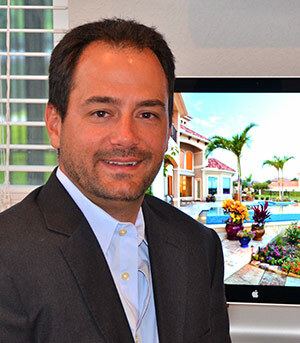 By taking advantage of what he can do with Pool Studio, by reaching out to his contacts in the industry, and by attending events like the annual HD Expo in Las Vegas, Anderson says he becomes an even stronger designer: "I get some of my best innovative and creative ideas whether its for the furniture business or the pool business." Imagine what you, too, will be able to create when you embrace the best that technology has to offer today.